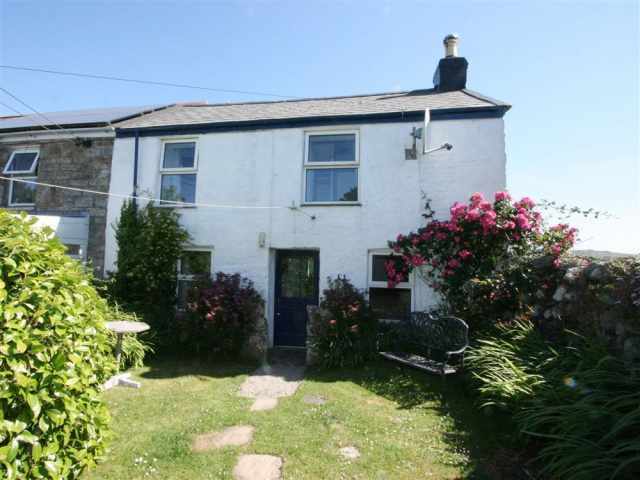 Only 150 yards from the sea with elevated sea views from the sunny south facing garden, this pretty semi-detached cottage of great character is situated in the unspoilt Cornish fishing village of Portloe, tucked far down on the delightful Roseland Peninsula. 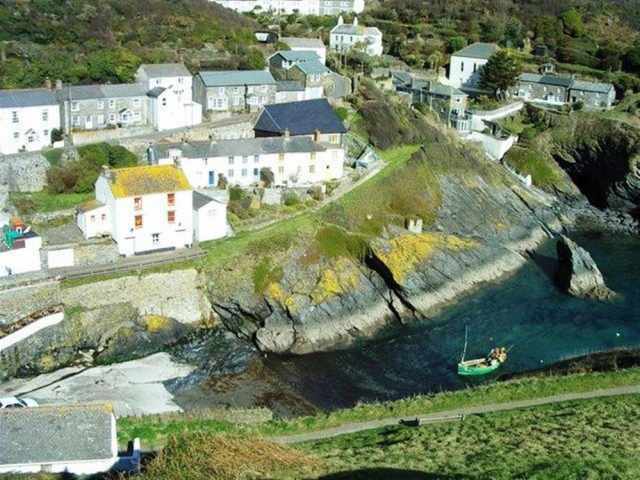 Here, stoutly built cottages with slated grey roofs cluster along the lower slopes of the well sheltered and secluded valley and around the shores of a small Cornish cove where a few boats still unload their catch of lobster, crab and other fish. 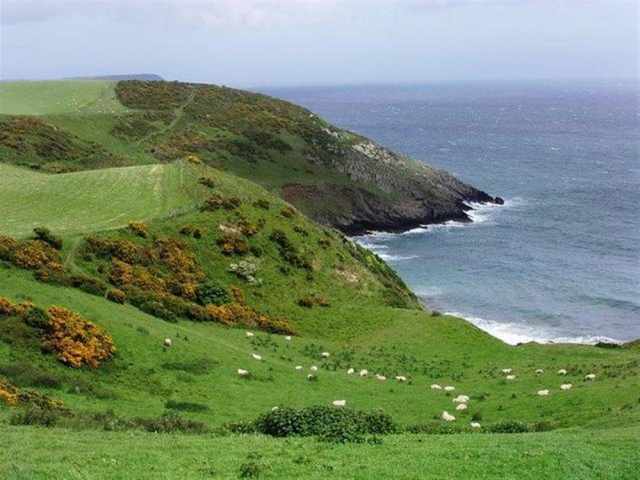 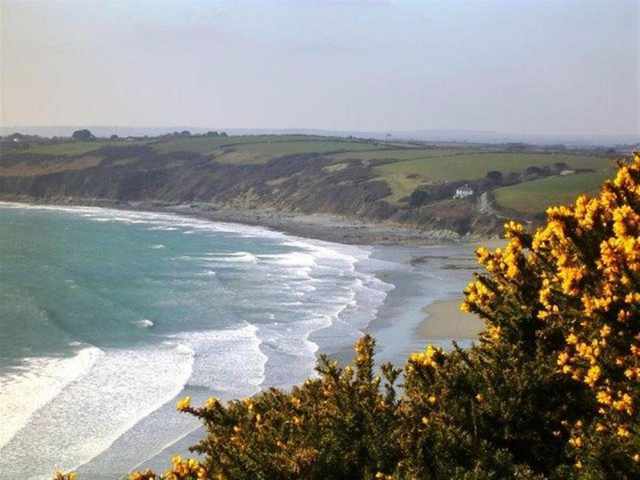 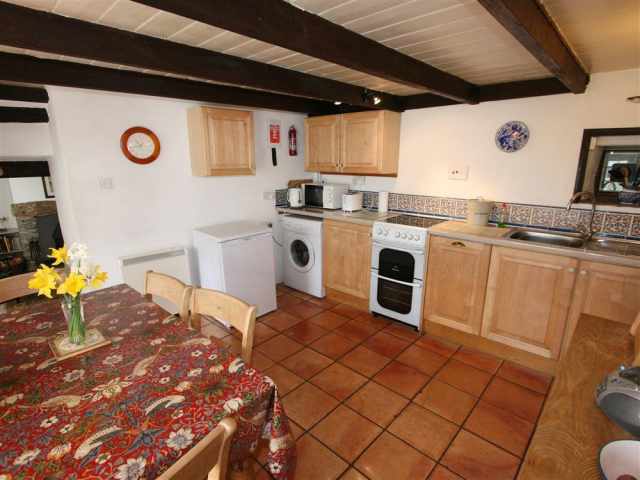 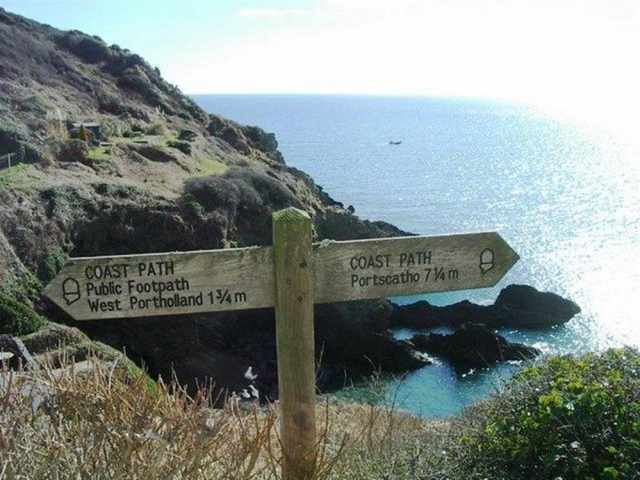 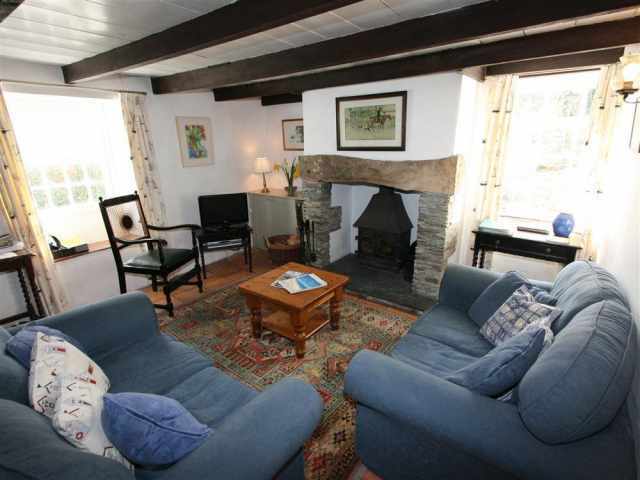 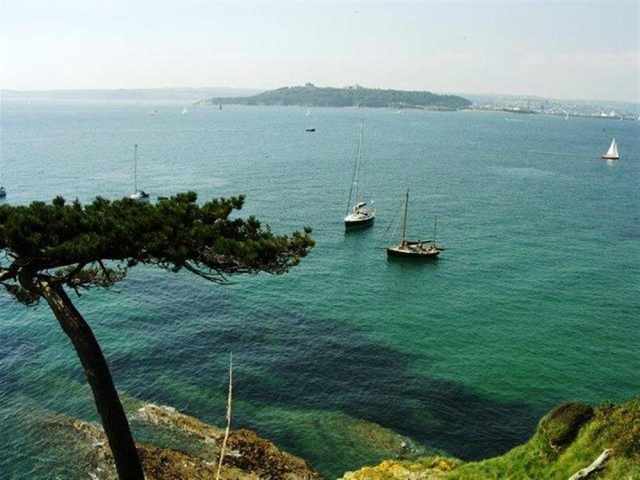 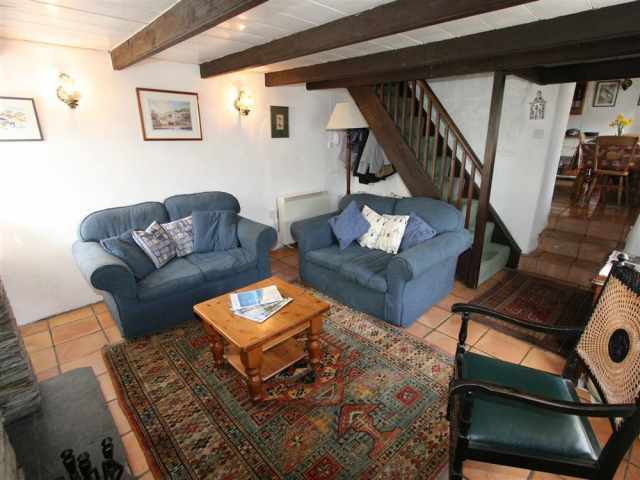 Proncha is within 60 yards of the coastal path and easy walking distance of the picturesque cove, slipway and pub. 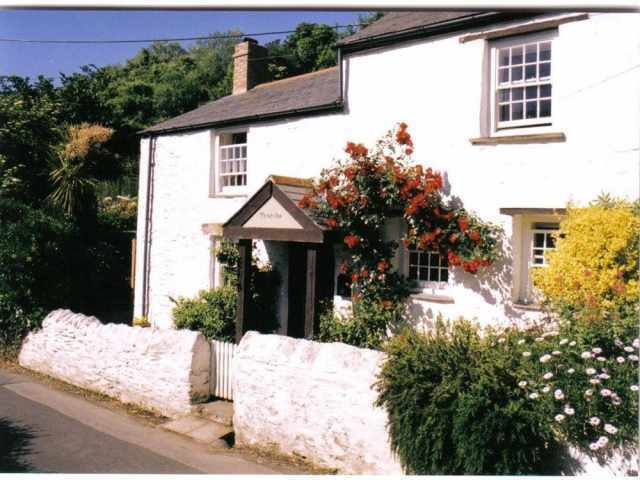 There is a shop and sub post office at Veryan 1.5 miles away and Melinsey Mill offering cream teas and lunch is close by. 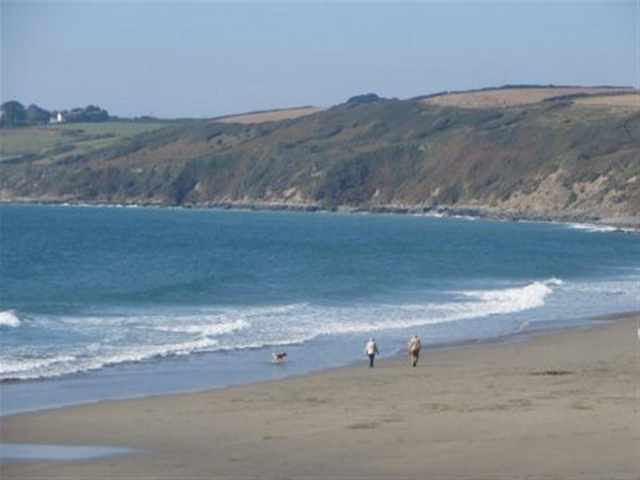 Several sandy beaches are a short drive away. 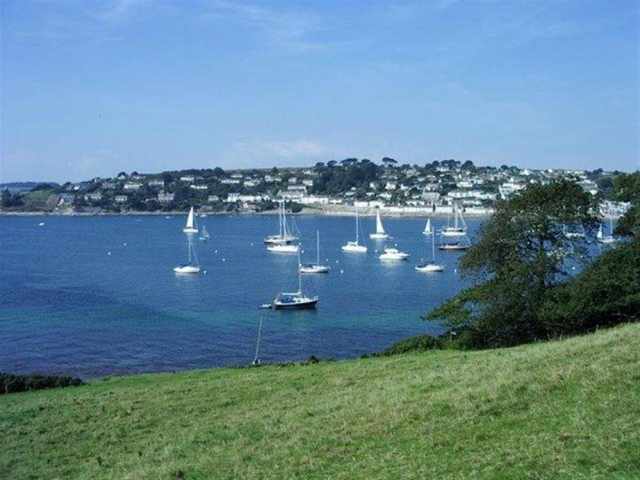 The harbourside village of St Mawes is about a 20 minute drive where a passenger ferry operates to the maritime town of Falmouth. 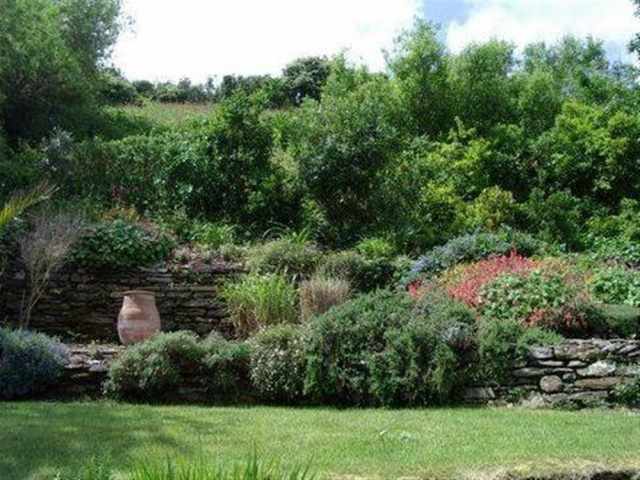 The main shopping centres of Truro and St Austell are within easy reach as are many of the finest Cornish Gardens. 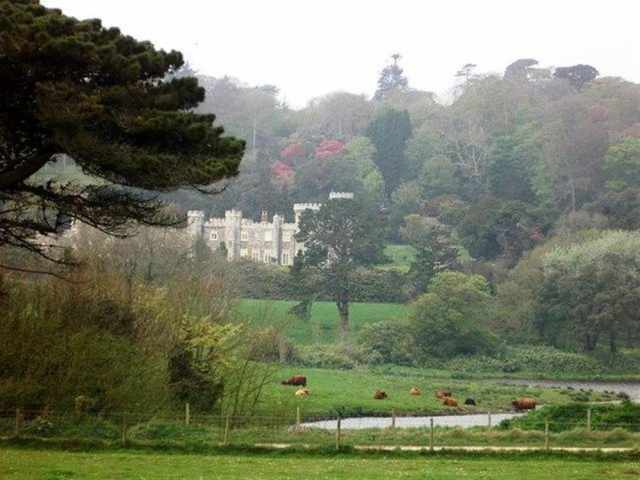 including Caerhays Castle, the Lost Gardens of Heligan and The Eden Project. 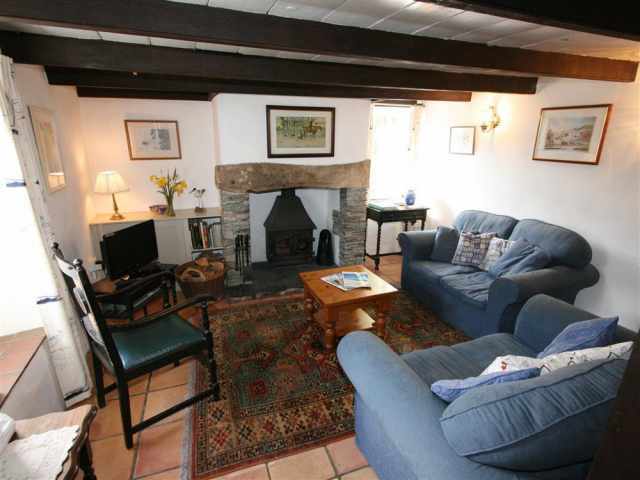 Approached through a small walled and gated front garden, the front door set beneath an open porch leads directly into a comfortable sitting room with a slate hearth. 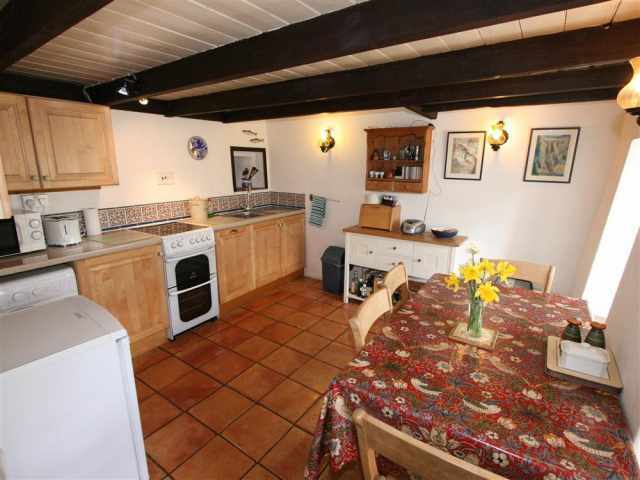 Linked by three steps is a maple fitted kitchen / dining room. 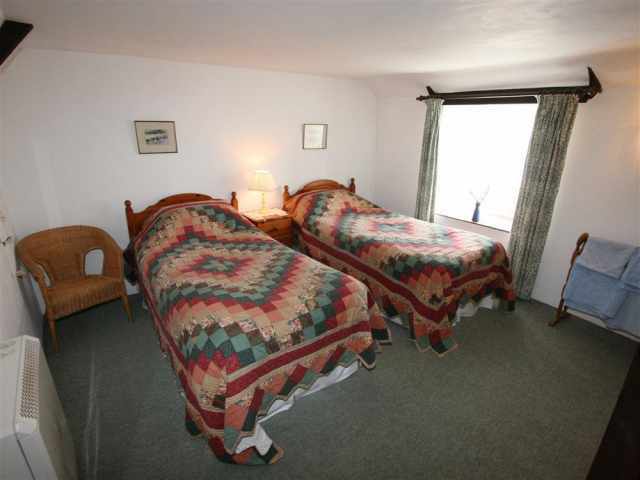 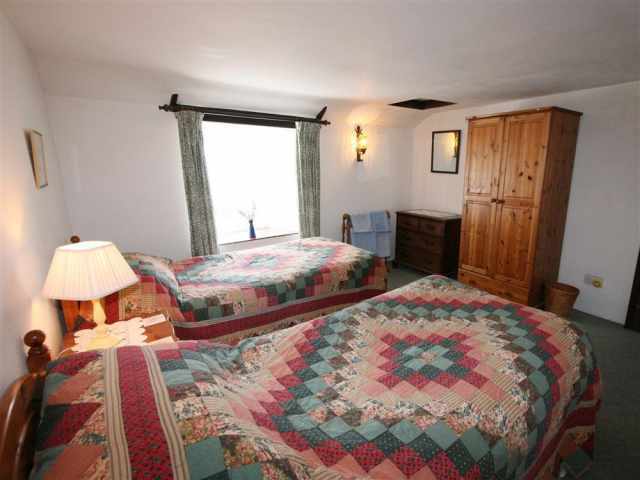 Both rooms have low beam ceilings and terracotta tile floors with rugs. 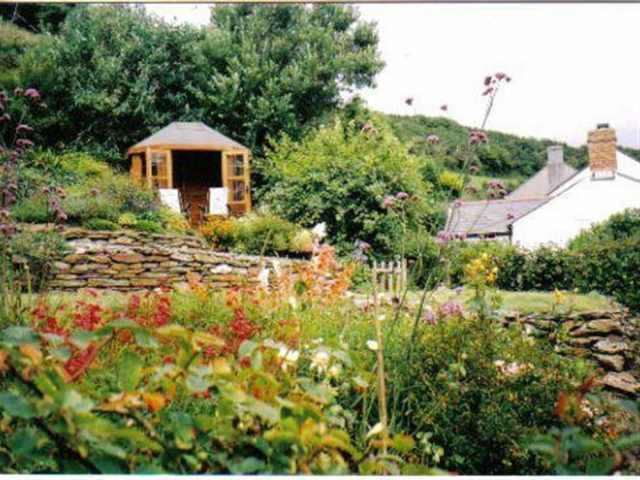 The windows, set into thick stone walls, look out over the garden. 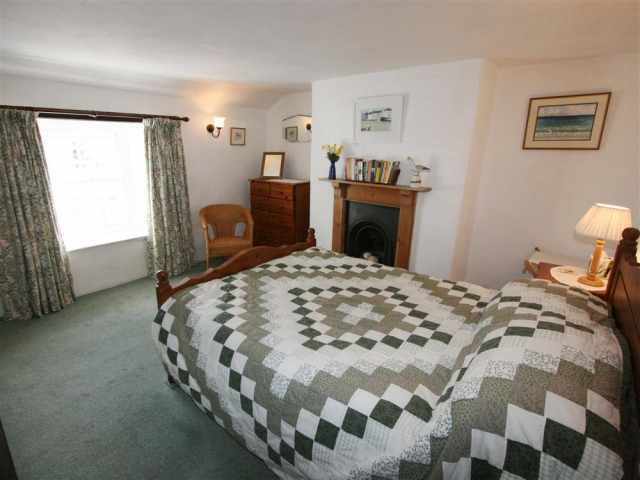 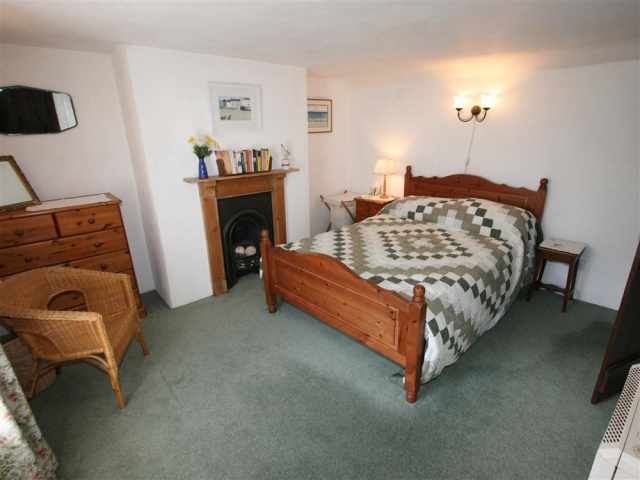 Upstairs are two bedrooms with a double bed and twin beds respectively and a bathroom W.C. with hand basin, shower over the bath and an access door to the garden. 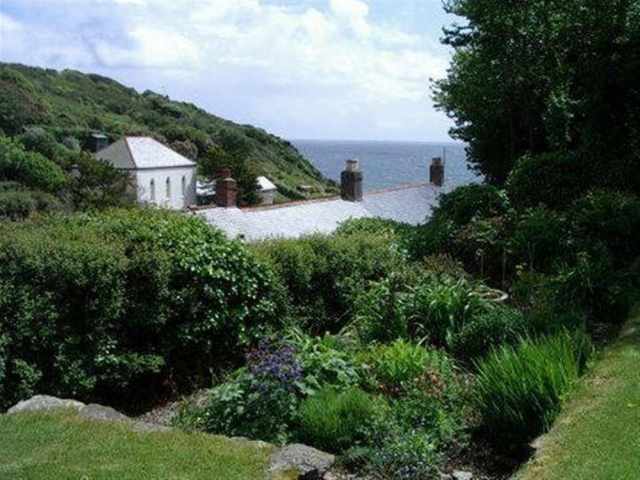 Tucked into the hillside the main part of the garden has a grassed sun bathing area behind the Fuchsia hedge, flower beds and shrubs on three levels with a Gazebo providing shelter and a commanding view over the bay in the direction of Dodman Point. 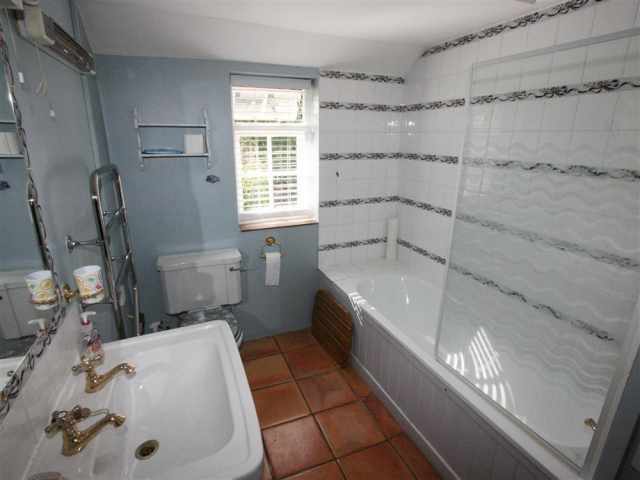 Toddlers will require supervision. 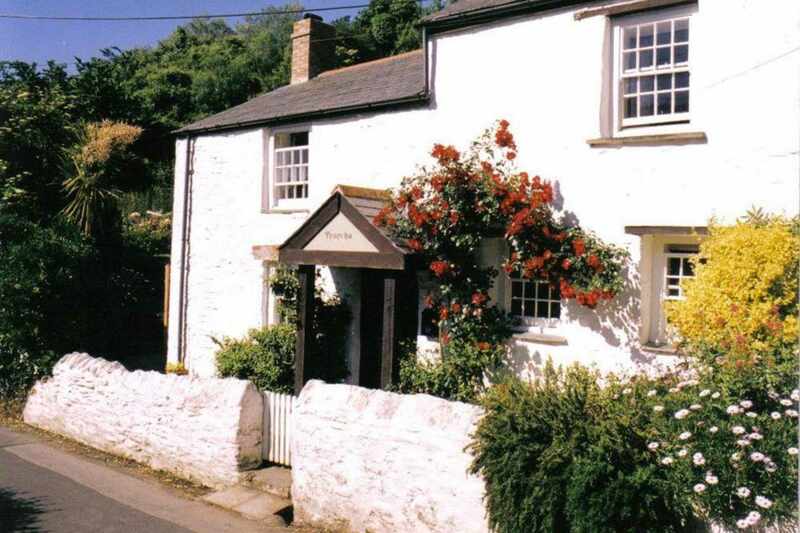 It is possible to unload the car outside the cottage; parking is available 50 yards away in the village car park (honesty box).